Fractions. 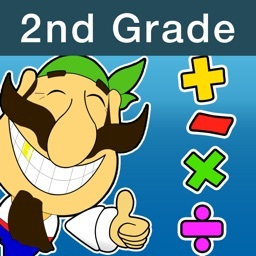 Smart Pirates - fun and easy way to learn fractions with the Caribbean Pirates. 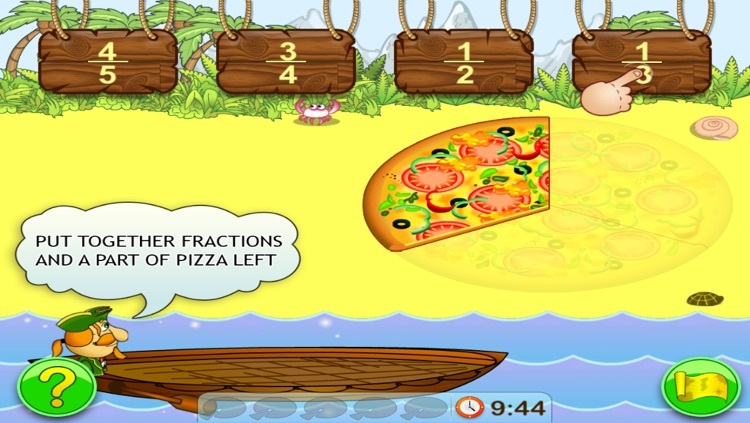 Recognizing and Comparing Fractions, Equivalent fractions, Аdding fractions - If you're struggling with fraction problems Fractions & Smart Pirates is your answer. 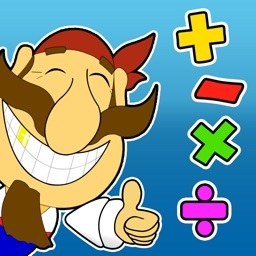 On the first island the player learns to read fractions. 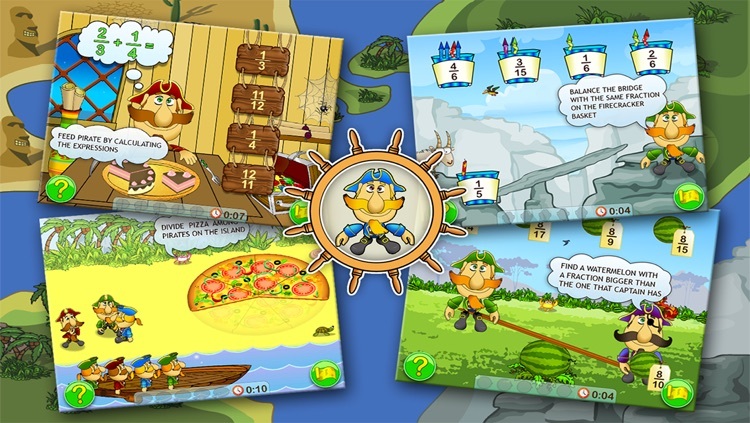 In order to do so he/she offers the pirates some slices of pizza and try to guess what part of the pizza is left for other pirates to eat in the boat. If there is a mistake the pirates get in trouble. On the second island, the pirates have to get across the bottomless abyss. 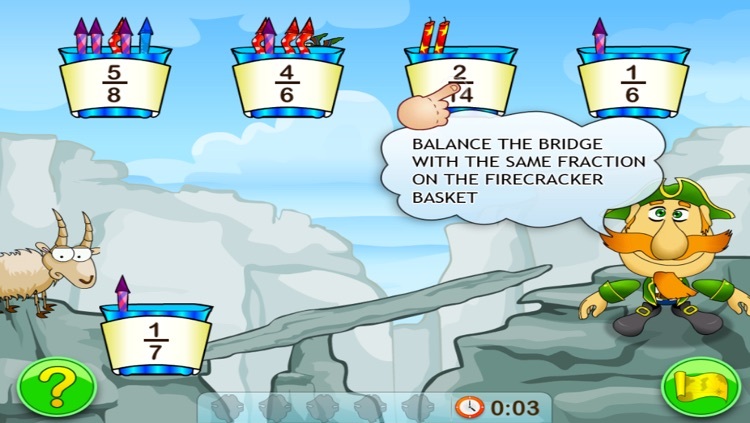 In order to do it, they should balance the bridge using firecracker baskets. 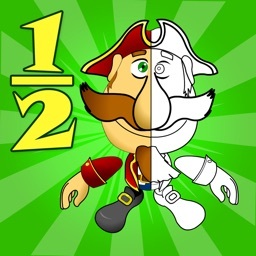 In this game the player assists the pirates in choosing a basket with an equivalent fraction. 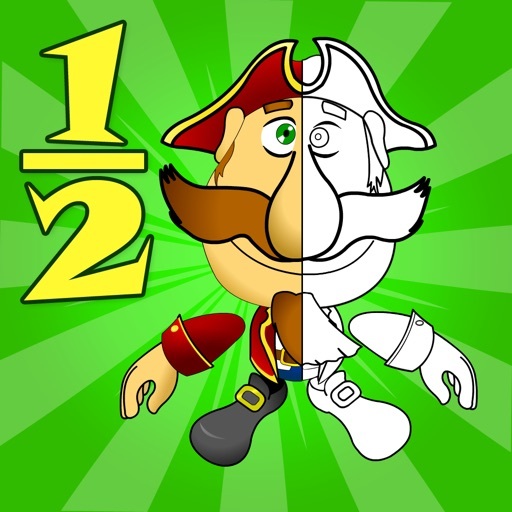 On the third island the pirates come across an unexpected rival - one-eyed Captain. But our brave old sea dogs are not scared at all! 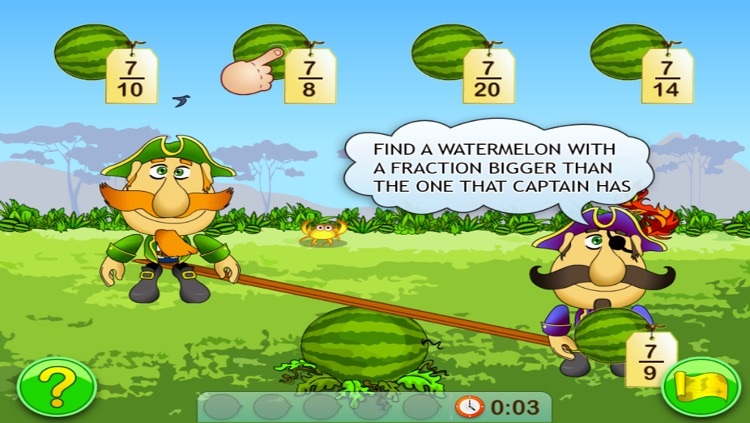 With the player's help the pirates should get bigger watermelons than the Captain has. 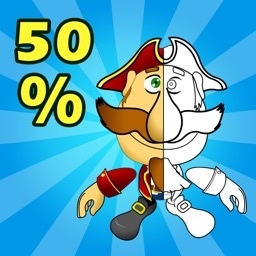 On the fourth island, the pirates are tempted to treat themselves with a few pieces of a lovely cake. 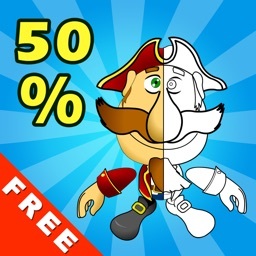 In this game, the player offer the pirate a piece of cake and guess what part of the whole cake his piece makes. 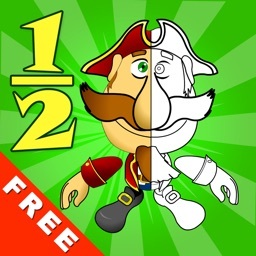 If there is a mistake in calculation, the pirate's becomes sad and hungry, as the cake is eaten by a perky parrot.